A long-standing Humberside manufacturing firm is moving into a new era with the backing of a six-figure investment from NPIF – FW Capital Debt Finance, part of the Northern Powerhouse Investment Fund (NPIF). 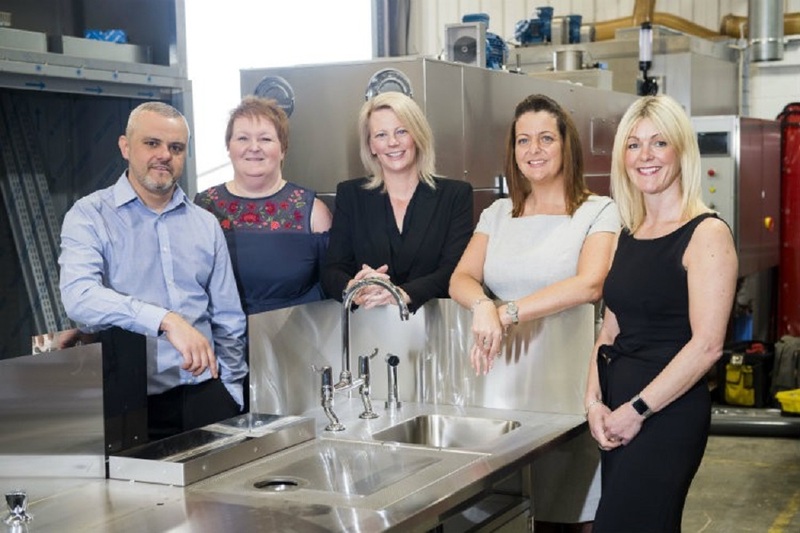 AFOS is a world leader in the development, supply and maintenance of high quality stainless steel equipment for the food and medical sectors, and has a range of customers in both markets right around the world which have helped it reach a £3m annual turnover. The Hull-based business, which employs 22 people and is celebrating the 70th anniversary of its foundation this year, was subject to a management buy-out towards the end of 2017, with chairman Mike Sutton selling 70% of the business to four members of the management team. As part of plans to continue to grow its global market share in both the food and medical sectors, and to widen the range of services it can offer, AFOS has worked with fund management firm FW Capital to secure a £250,000 NPIF investment. AFOS began as a manufacturer of traditional fish smoking kilns, and still provides a range of such equipment today, although they are now equipped with state-of-the-art Siemens microprocessor controls. Its food sector product range, which is recognised as providing the industry standard by the British Retail Consortium, has expanded to include defrosters, deglazers, dryers and brining lines, data from which can be accessed online by customers from anywhere in the world. They are used across the UK and mainland Europe and as far afield as New Zealand, where discussions are currently ongoing with a major food sector firm on opportunities to enter the Chinese market together. AFOS also has 35 years’ experience of supplying hospitals, medical & veterinary schools and laboratories with ‘down draught’ ventilation equipment which are used in pathology, mortuary and laboratory installation to ensure their environments are safe for use. Its equipment can be found across the Middle East, Far East and North America, as well as closer to home, and it also operates a service arm for this side of the business to further enhance the revenues that can be generated from it. Mike Sutton, chairman at AFOS, says: “AFOS has an excellent reputation in a range of niche markets, and a long-standing track record which demonstrates how we live up to it for customers around the world. “Our focus is on continuing to grow our profitability through maximising the use of our mature technologies and taking advantage of opportunities to build new partnerships and product offerings both at home and overseas. Keith Charlton, investment executive at FW Capital, adds: “AFOS has an impressive track record within its target markets and every opportunity to make further progress on many fronts in the future.